Just to prove that sometimes it’s worth looking at the floor. 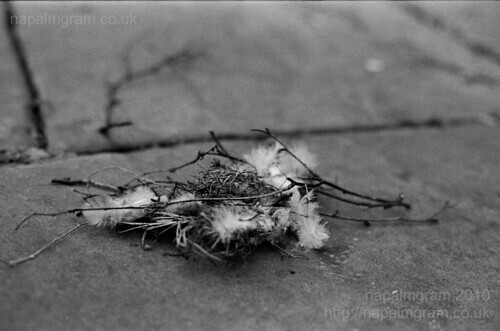 Just a little bundle of feathers and twigs on the floor in front of the main doors to St Mary‘s church in the Lace market (apparently the oldest Christian foundation church in Nottingham). Think it would have looked slightly better with a slight deeper DOF, and I’m wondering whether I should have moved the twig behind it as well. Or would that count as having created the scene?